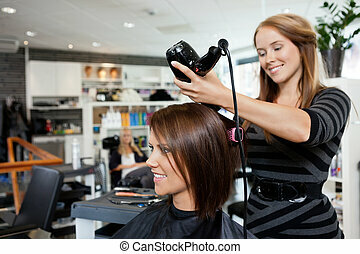 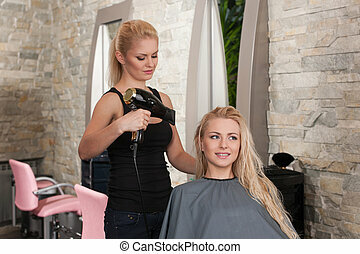 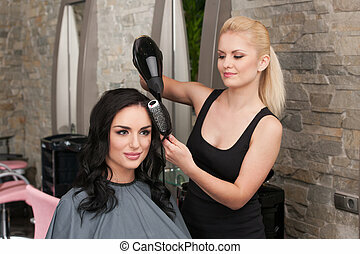 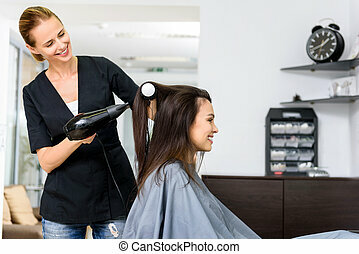 Beautician blow drying woman's hair after giving new haircut at parlor. 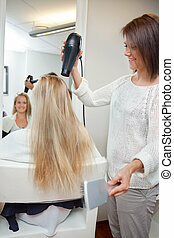 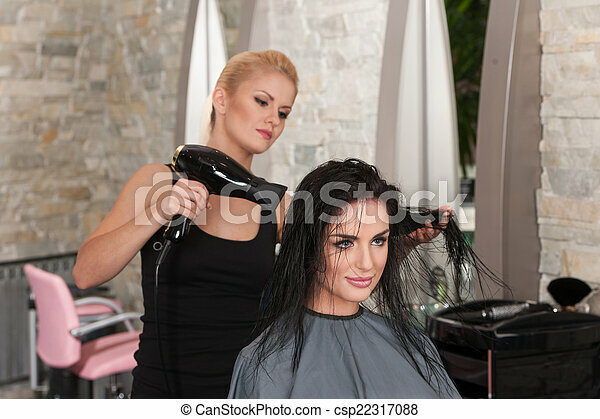 blond girl drying dark-haired girl hair. 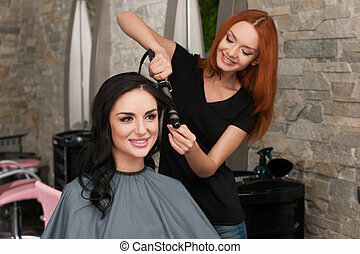 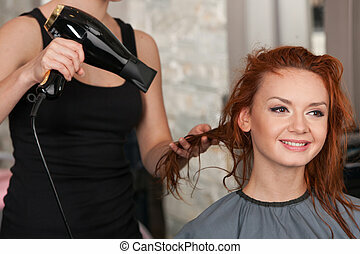 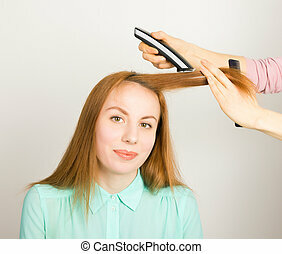 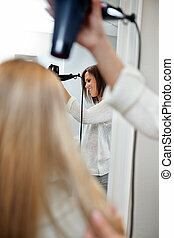 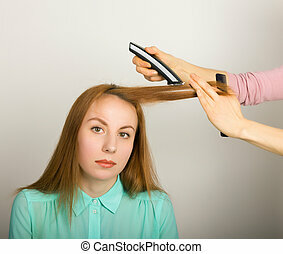 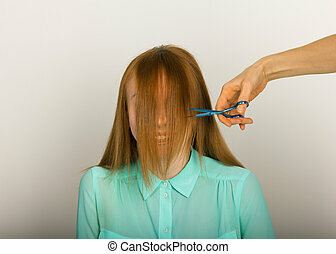 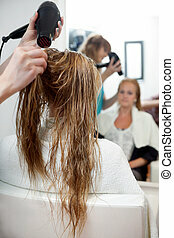 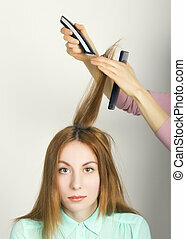 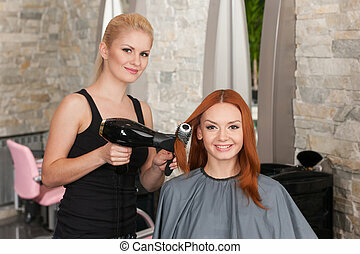 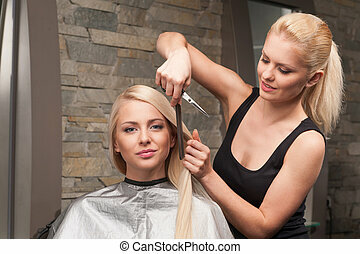 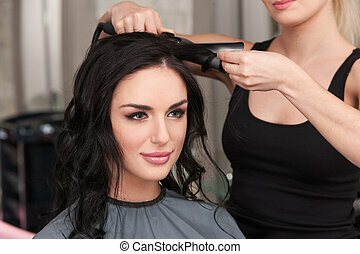 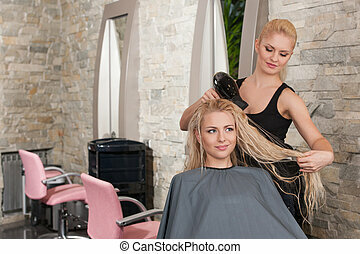 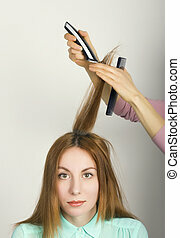 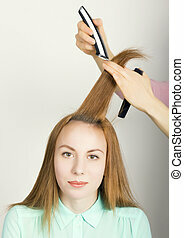 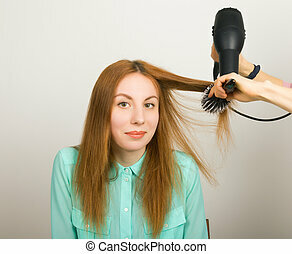 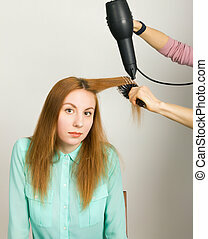 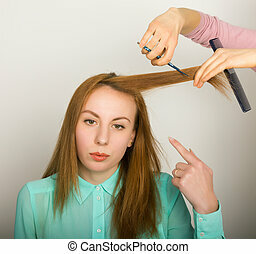 Beautiful young red-haired girl at the hairdresser makes blow drying, shorn bangs, hair polishing.